Ever since the Islamic Revolution triumphs, according to its leaders, stoning for adultery and hanging for homosexuality sully Iranian social life. Below, with the kind permission of the author, Alinda Dufey, we publish the translated version of her article, printed in Vigousse, a satirical periodical. 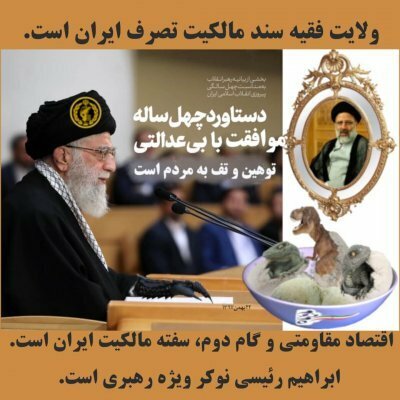 Iran’s mullahs have many of fears. They are afraid of the Internet. They are afraid of social media. They are afraid of political dissent. They are afraid of Christians. They are afraid of homosexuals. They are afraid of women. They’re pretty much afraid of anything that encourages free thinking or anything that threatens their power. Another, more moderate brand of Islam, separate from their radicalised version, is just another fear they have. When you live and run a society based on a structure that seeks to control utterly what people think and how they behave, the most dangerous thing to that control is an independent thought. The fact that there could be another way to worship your God has been at heart of some of the bloodiest conflicts throughout human history. Iran is not immune to this. A beautiful and sad love story between two young women, one with blue hair … The film, Blue Is the Warmest Colour, directed by Abdellatif Kechiche won the Palme d’Or at Cannes Film Festival in 2013. It was based on a comic strip, written and illustrated by the French author, Julie Maroh, published by Glénat Editions in the same year. 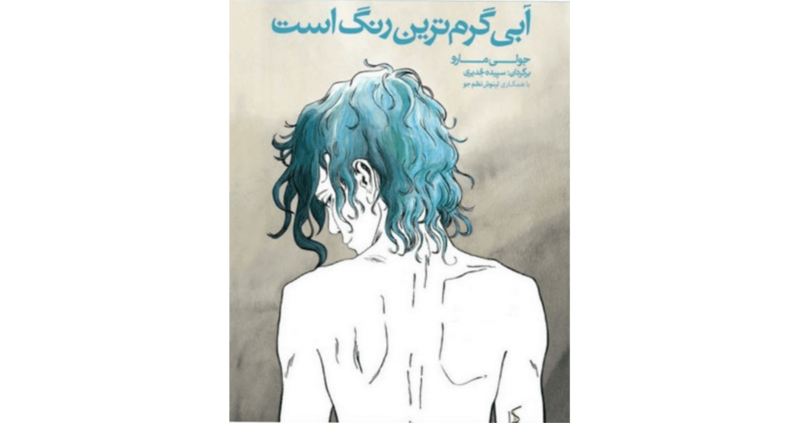 The strip, more demure and sombre than the film, deeply moved the Iranian poetess, Sepideh Jodeyri. She translated it into Farsi. But in the land of the ayatollahs, stories of the heart and arse between two babes are not well received. As soon as it was ready for sale, the strip provoked the wrath of the conservative clergy. They unleashed their ferocious hatred against the poetess-translator and, while they were at it at large, against women and homosexuals. Sepideh Jodeyri, who as luck would have it lives in Prague, became the victim of character assassination by the media. She was abused and guilty of all evils. Since, she has become public enemy number one. Nonetheless the smear campaign did not stop there. The Ministry of Culture, which earlier had financially supported the work of the poetess, is being criticized from all sides and is much at risk of a “spring clean”. Her publisher is subject to dirty tricks: as the subsidies gradually disappear, he is likely to lose his publishing licence too. Furthermore, the director of the museum that was to host the preview of Sepideh Jodeyri’s latest collection of poems was unceremoniously fired. All this mess because of a romantic strip … indubitably, fanatics have a screw loose. The French version published in Vigousse, no 227, 20 March 2015.